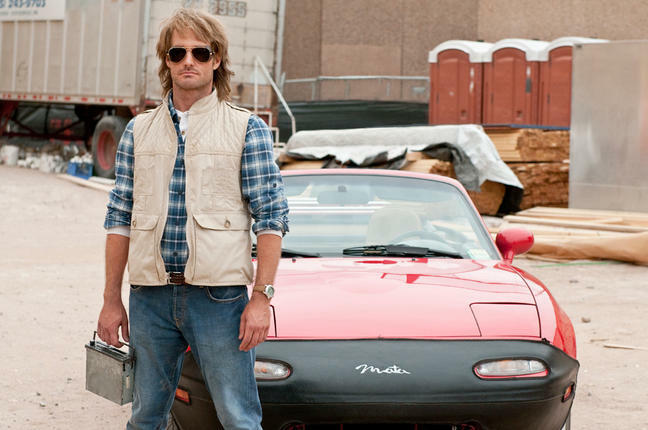 Macgruber seems like an odd choice to make a movie of, since the entire catch of the SNL skits are that he always blows up after 30 seconds of being an idiot. Well, they did make a movie of it, and the questioning looks given to this decision were indeed justified. In my opinion, its really hard to make a really good comedy. You need a lot of great jokes as well as a solid premise. It helps if there’s a coherent story as a backbone as well. But what is really important is that the really funny jokes outweigh the really stupid jokes. In this case, the battle is very lopsided in the other direction. Macgruber does have some jokes which made me chuckle and even some which made me outright laugh, but there were way more which made me roll my eyes and groan and some which were so stupid they didn’t even warrant those responses. This is a failure. This entry was posted on October 11, 2010 at 10:08 am and filed under 2010 reviews,Movie Reviews. You can follow any responses to this entry through the RSS feed.